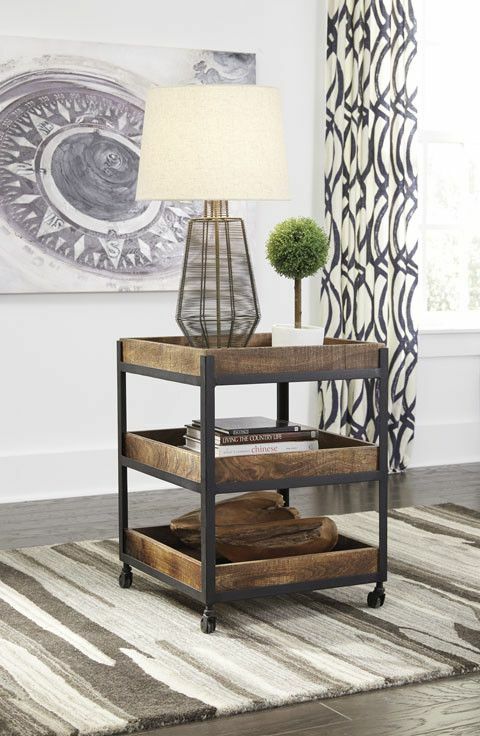 Item Description: The flexibility of mobility, sharp rustic style and tray framed tabletop/lower shelves of the Viggani end table make this a must for complementing your modern seating arrangement. 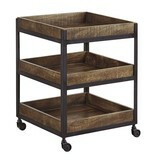 Its square tray tabletop and two lower shelves enable you to store things snugly without the worry of them sliding off. Its natural grain shows through the weathered light-tone finish and is set off by the black metal frame. 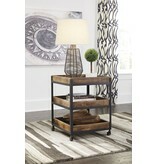 Casters are a big plus, making this end table simple to move. Series Features: Made with Mango solids and finished in a weathered light tone that highlights the natural grain variation. 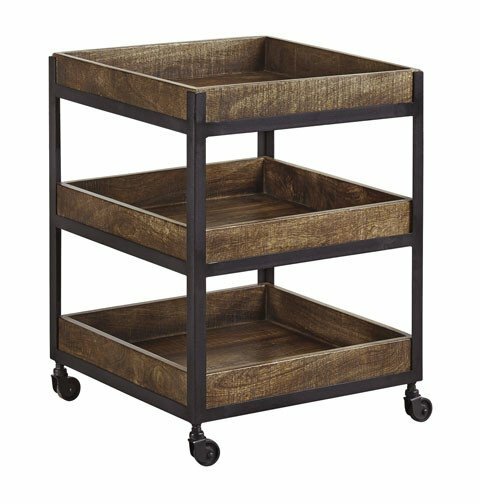 Solid wood tray framed top and shelves are joined by metal L-bracket legs finished in a dark wrought iron color. Tables have casters for mobility.